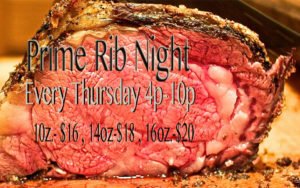 Every Thursday is Prime Rib Night. Starting at 6pm and running till 10pm you can get a 10 oz. cut ……. $16, a 14 oz. cut ……. $18 and a 16 oz. cut ……. $20. They all come with mashed potatoes and broccoli. 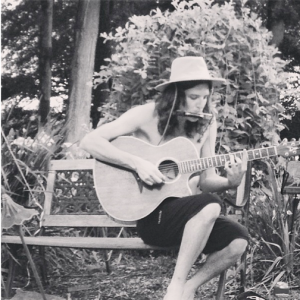 Every Thursday night Rhett brings his take on classic and modern rock tunes to the Steam Pub stage starting at 9pm.